The present and future of Retail and Corporate advertising is through Digital Signage. Digital signage and messaging is one of many tools available to market your firms message. Easily create, edit and update your message and broadcast immediately. 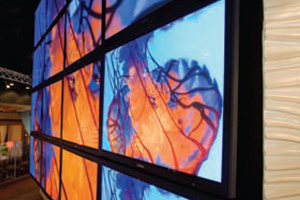 You can manage a scalable solution to one single display, or multiple displays. Even across distances from each other.